The MasterCard Foundation offers a full scholarship to students who have applied for and been admitted to one of the following undergraduate study programmes at the University of Pretoria. Master’s degree applicants in the above-mentioned fields may also apply. Honour’s candidates will be considered if they are prepared to commit to continuing to a Master’s degree. 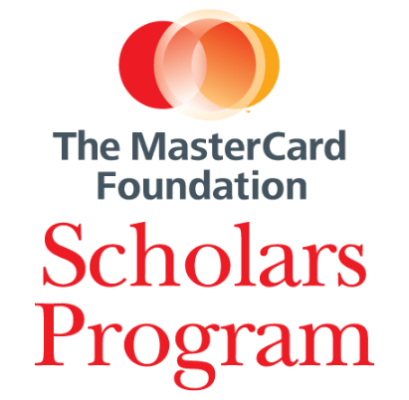 About the Award: The MasterCard Foundation Scholars Program (MCFSP) targets academically qualified, yet economically disadvantaged young people in South Africa, SADC and the rest of Africa, who will contribute to the transformation of the continent. Community service is a necessary component of the Program with all students giving back to disadvantaged communities. Candidates should be citizens from Sub-Saharan African country. Applicants should come from economically disadvantaged backgrounds and demonstrate financial neediness. Academic excellence is paramount and students have to maintain a high academic average at all times. Selection Criteria: The identified scholars need to demonstrate a commitment to making a difference in their communities, having faced significant barriers to accessing and completing quality tertiary education. The Program provides a comprehensive scholarship, mentoring and counseling, academic support and access to work readiness skills. Cost of one visa application for the duration of the study period. How to Apply: Students who are interested in studies at the University of Pretoria and wish to apply for The MasterCard Foundation Scholars Program must follow the application process in the Scholarship webpage. Important Notes: All potential MasterCard Foundation Scholars Program (MCFSP) applicants for academic year 2018 have to apply at the respective faculty FIRST before applying for the MasterCard Foundation Scholars Program. Once your application has been approved then you may apply for the MasterCard Foundation Scholars Program. No MCFSP applications will be considered if you have not applied at the faculty first. Now that all the information about Fully-Funded Master Card Foundation Scholarship for Sub-Saharan African Students has been delivered nicely; interested and talented students who are eager to pursue their Free Tuition/Scholarships/Study in South Africa can apply now.